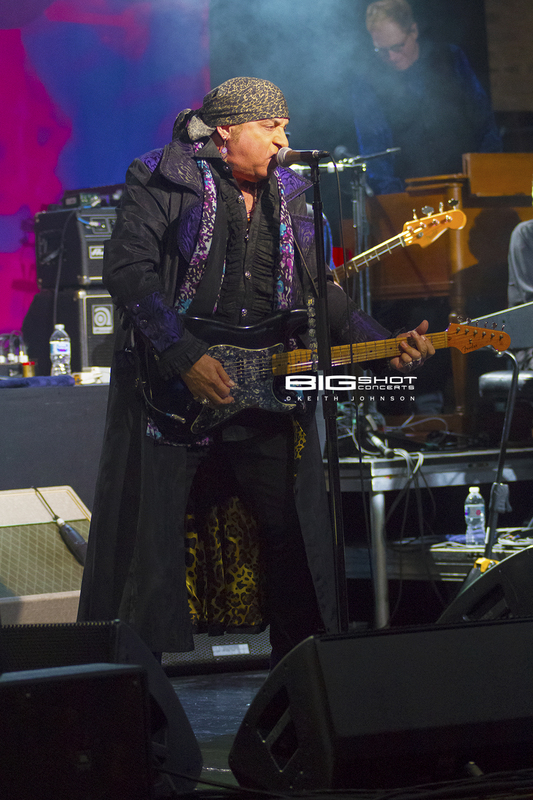 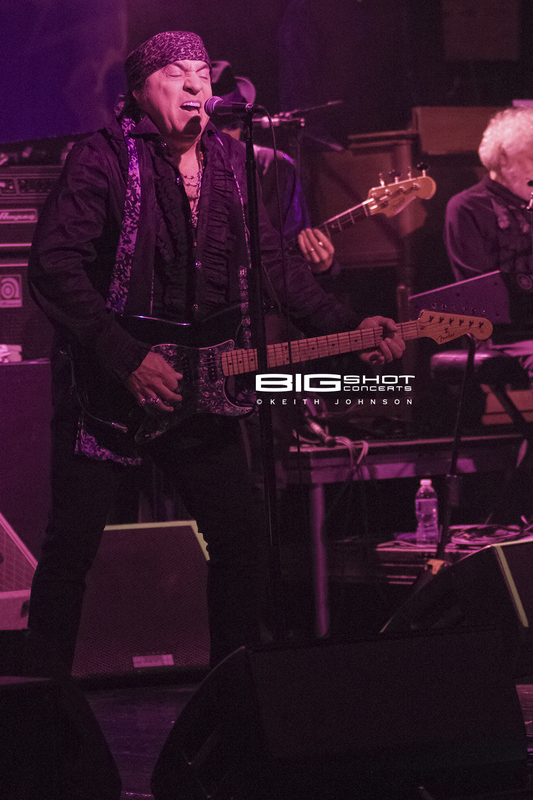 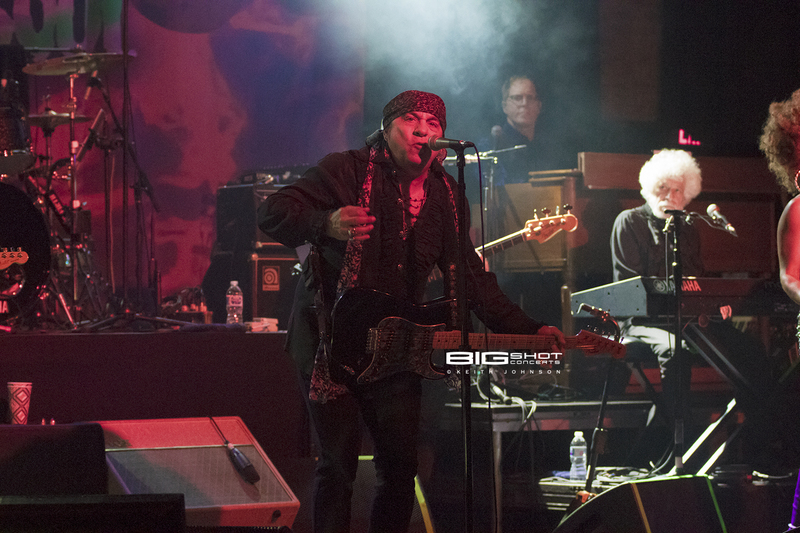 Little Steven and the Disciples of Soul brought their Soulfire Tour to Revolution Live in Fort Lauderdale, Florida for a night of blues influenced rock and roll. 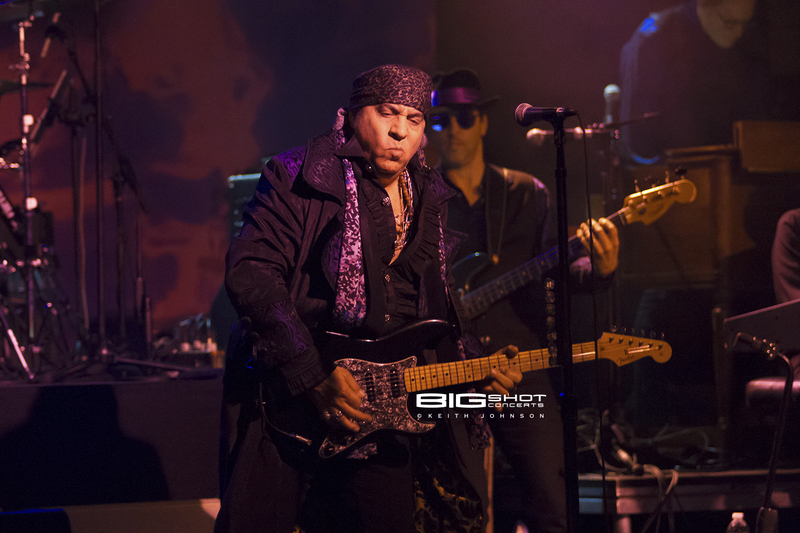 Steven Van Zandt is the legendary guitar player from Bruce Springsteen’s E Street Band. 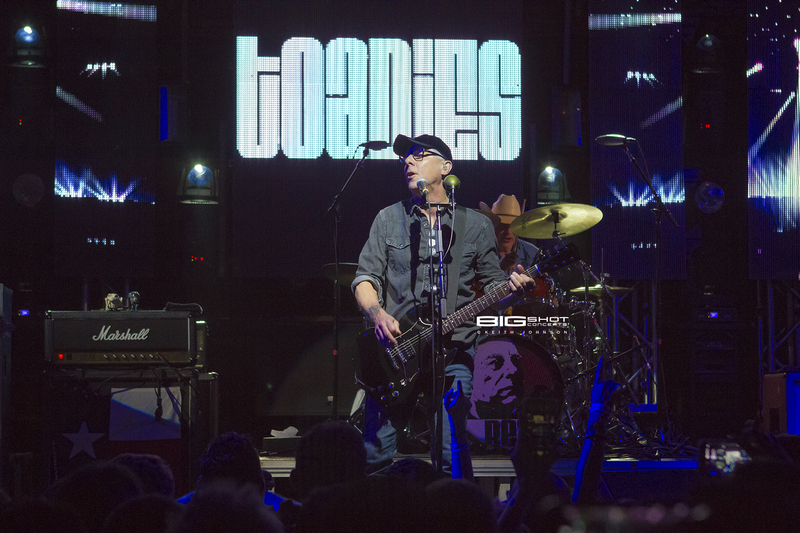 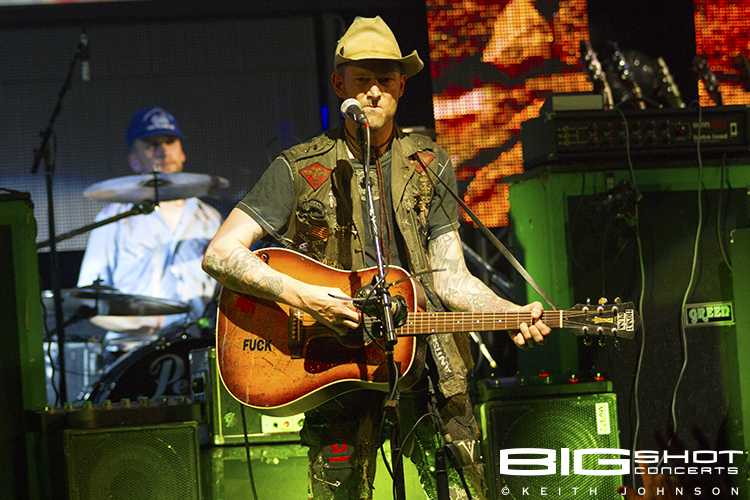 During this performance, he brought his own group of musicians to play tunes in front of a sold-out crowd. 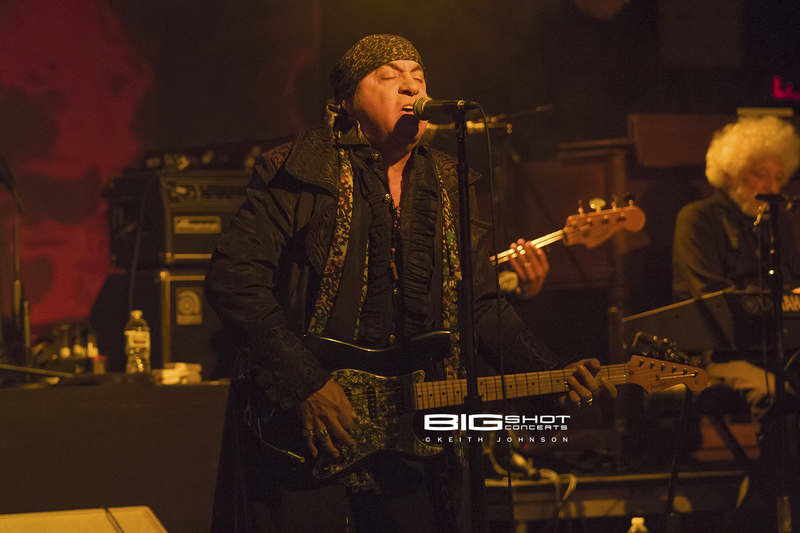 Draped in his trademark scarves, guitar player played a gritty set of tunes with heartfelt passion. 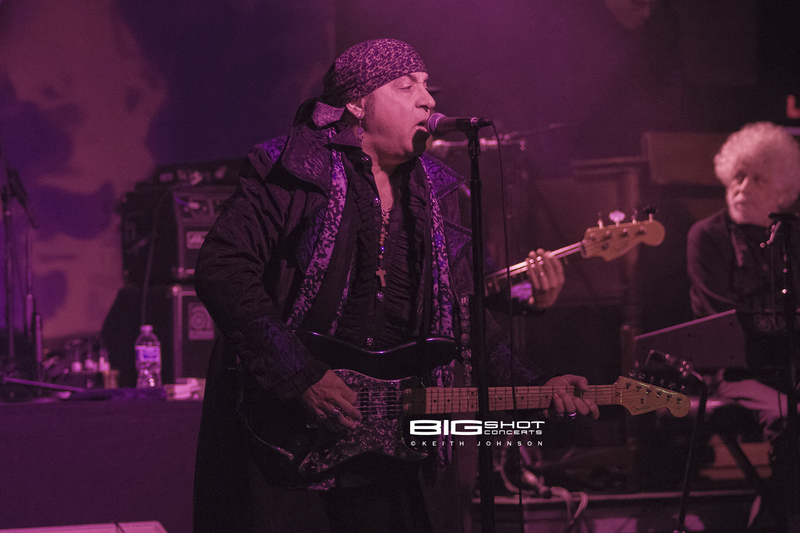 Steven Van Zandt plays a blend of rock n roll and blues to a sold-out crowd in Fort Lauderdale, Florida. 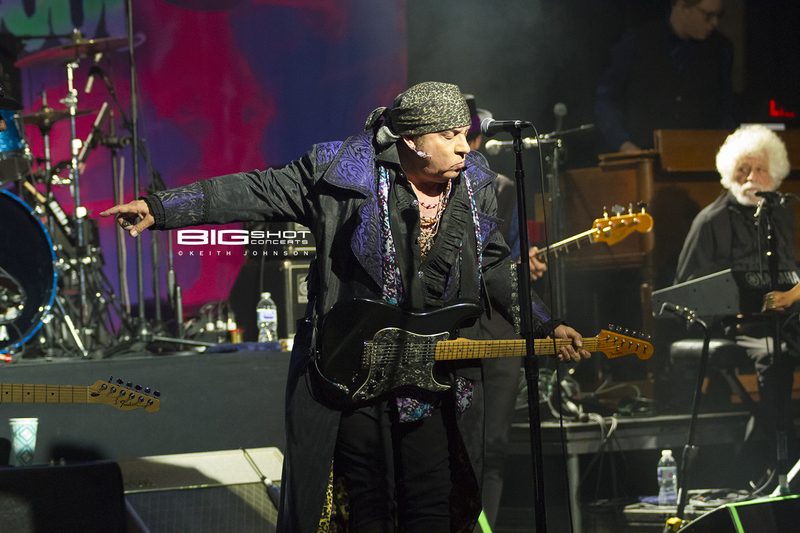 Little Steven and the Disciples of Soul packed Revolution Live with fans who came to hear the guitar player and his band. 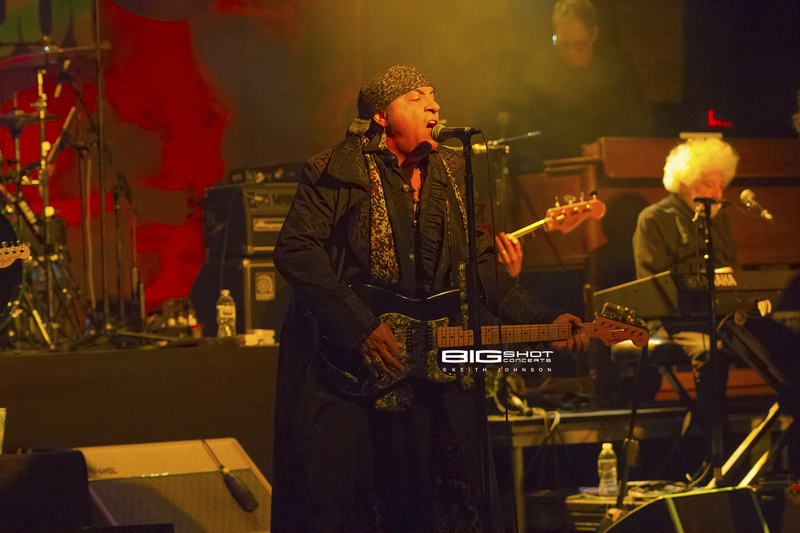 Moody light added to the bluesy, rock-influenced performance. 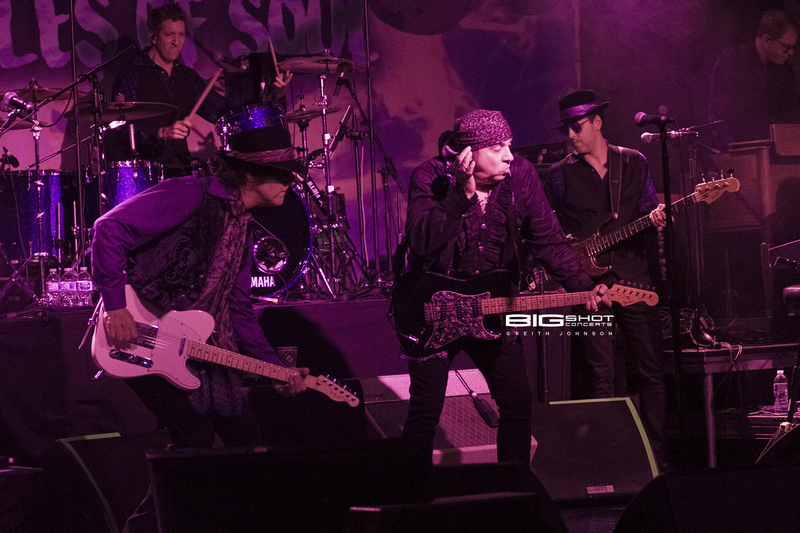 Little Steven shows off his guitar playing ability at Revolution Live in Fort Lauderdale, Florida.